Looking for that serene lifestyle in a light-filled, spacious & beautiful home with stunning views, yet you need to be very close to the city? This is it! Tucked in the charming hamlet of Idledale, this gorgeous, well-built newer home offers you the best of both. Walk/bike or take a 3 min drive to fish, hike, & bike in open space parks, 9 min to Morrison, C470 or 12 min to charming Evergreen. 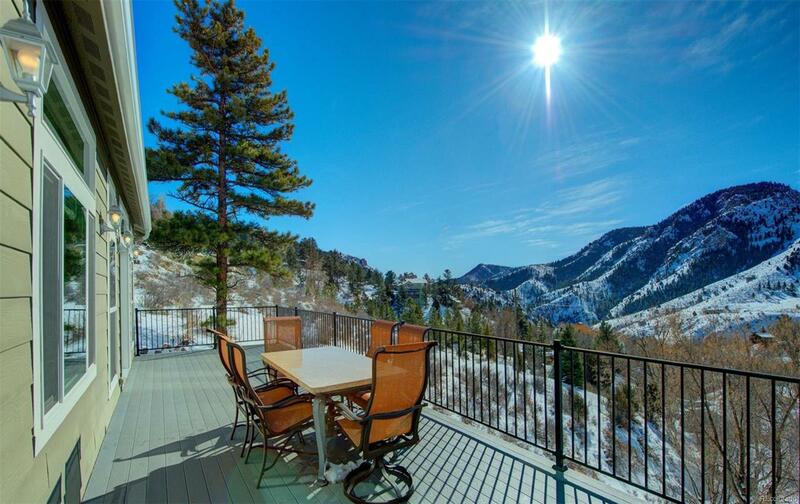 Sunshine & fabulous south-facing views grace this well-crafted 2015 home. This is the owners dream home - quality details abound. Hickory cabinets & flooring, stainless kitchen w/ island, perfect main level master suite, & huge trex deck w/views. Lower level walk-out is amazing w/private entrance & a kitchen, bath, 2 bedrooms & rec room w/extra noise proofing. Three car garage w/ plenty of driveway parking, & lovely landscaped lot w/rock walls & patio areas. Extra insulation, solar, cement siding, and much more too! Come home to all the features you could want and the best of city and mountain!